Size: one size to fit small to medium, will fit UK shoe size 4-7. They measure approx 31" in length lying flat. Black & fluorescent pink wide stripe opaque tights. Size: one size to fit small to medium. They will fit 36" - 42" hips. thigh highs, hold up stockings . . .
patterned, seamed, 40 denier, 70 denier, with lace cuffs . 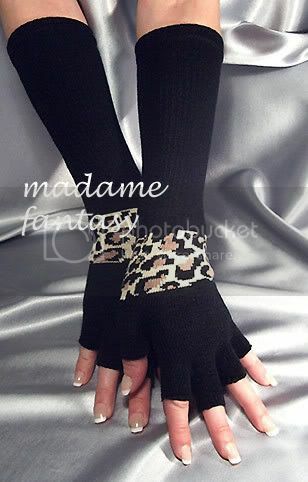 . .
gloves with skulls, long or short, fingerless, lace . . . unisex . 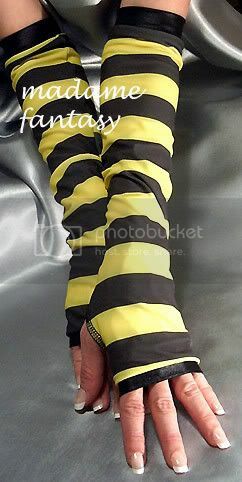 . .
Bumble bee leg warmers - black & yellow stripes. 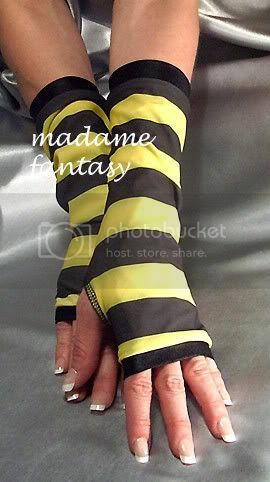 Material: 100% Acrylic Garment care: machine washable.